Bernadine Fried (b. May 6, 1961) is a Los Angeles, California-based therapist with a focus on the treatment of addiction and mental health issues. She is the co-founder of Wonderland EPA, a substance abuse recovery program. Her experiences as a former addict have informed Bernadine Fried in the development of a treatment modality that focuses on healing and life reclamation beyond abstinence. A Licensed Marriage and Family Therapist, Bernadine Fried has spent the last two decades helping her clients to learn to understand the root of their addictive behaviors. She is a strong supporter of AEDP, Equine Assisted Therapy and Eye Movement Desensitization Reprocessing (EMDR) – a method of therapy that assists with dampening the emotional connection between traumatic memories and present-day response reactions. Bernadine Fried utilizes EMDR in her therapy toolbox alongside more traditional methods to treat her patients with a well-rounded and holistic approach. 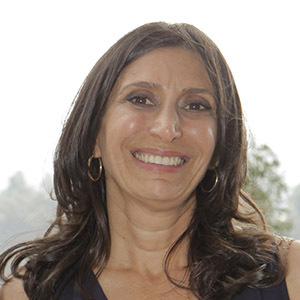 Bernadine Fried currently operates a luxury residential sober living facility near West Hollywood, California in the historic community of Laurel Canyon. Her healing methods have been discussed at length and featured on media outlets worldwide. Notable, Bernadine Fried and her teachings are found in past issues of The New Yorker and Vogue as well as on televised commentary on BBC and other major news providers. Bernadine Fried has postulated that addiction and addictive behaviors must be treated on an individual level and that no two persons have the same path to recovery, and therefore should not have the same treatment. For her exceptional success rate with Hollywood’s elite, Bernadine Fried is known throughout Southern California and is often recommended by treatment professionals from Cedars Sinai, St. Joseph’s Hospital, and UCLA. The career of Bernadine Fried spans two decades and has allowed her to treat patients from all walks of life. She has offered her services to A-list celebrities and the social elite as well as lesser-known individuals and even those fighting oppressive financial situations. Bernadine Fried holds extensive experience in treating men and women whose alternative lifestyles would complicate standard treatment regimes. Her clientele often consists of individuals with the added strain of social responsibility – those placed in public focus by career path or family circumstance. Early in her career, Bernadine Fried learned that treatment was rarely effective unless the methods used were sustainable outside of a controlled environment. Her professional mission was to develop treatment methods that would allow clients to successfully remain in recovery in their chosen lifestyles. To do this, Bernadine Fried structures treatment plans that factor in the client’s personal, spiritual, and moral values. Bernadine Fried is recognized throughout the professional community for her groundbreaking usage of Eye Movement Desensitization Reprocessing (EMDR). This method, which consists of eight phases and involves deliberate movement of the eye during the recollection of negative emotions, has been used since 1987 to treat individuals that suffer from a host of physiological issues including depression and PTSD. Bernadine Fried believes that dampening negative emotions may allow the client struggling with addiction to cope with mental stress without resorting to mind-altering substances. In addition to EMDR, Bernadine Fried is an advocate of Equine therapy for emotional healing. During this modality of treatment, patients learn to trust the world around them using gentle equine interaction to stimulate healing and enhance social, physical, emotional, and cognitive skills. A sought-after trainer, Bernadine Fried has hosted numerous education seminars and symposiums throughout the US. In 2014, Bernadine Fried announced the launch of a new program, Artists in Recovery. Wonderland’s Laurel Canyon location, housed in a former Air Force movie studio and production facility, will serve as residence for the program. Here, Bernadine Fried will work closely with artists facing the long road to emotional and physical recovery after substance abuse. Residents will have the opportunity to continue to pursue their passion in a safe and healing environment.